The Mill CQB is the largest purpose built airsoft site of its kind in the uk, giving players an amazing environment to test out their airsoft skills. Playing over four floors and with an ever changing layout no two visits will be the same. 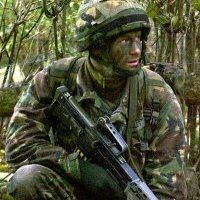 this site is perfect for everyone from first time players to airsoft veterans as the site and scenarios cater for all types of play. CROSS FIRE HAS SOME GREAT NATURAL FEATURES. IT WILL BE A SEASONAL SITE PLAYED FROM MARCH TILL SEPTEMBER. SNIPERS AND MARKSMEN WILL MAKE THE MISSIONS HARD BUT ALSO GREAT FUN. CROSS FIRE WOODLAND IS SITUATED IN THE FYLDE AREA, IN BETWEEN BLACKPOOL AND PRESTON. ONLY 10 MINUTES FROM THE MOTORWAY. Camelot Theme Park...Possible New Site?